Nearly 7 million people go through Barcelona airport every year, and it's pretty efficient. 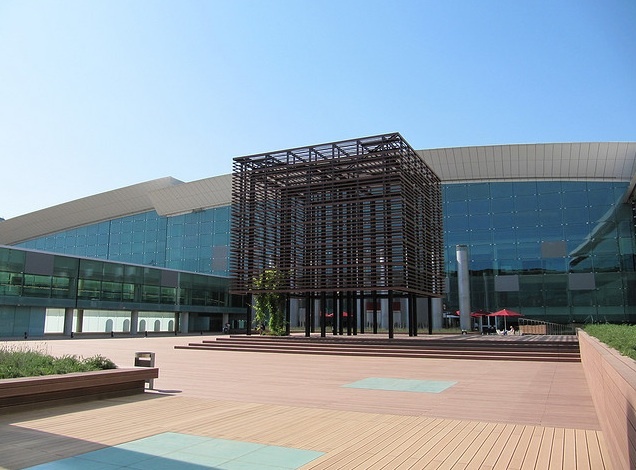 Located 12km southwest of the centre in El Prat de Llogregat, it has two main terminals, T1 (with a new south terminal by Ricardo Bofill, where the high speed train will stop in the future) and T2, divided into T2A, T2B, and T2C. The two terminals are 4km apart and linked by a free 24-hour shuttle bus that runs every 15 minutes. Lost property office (objetos perdidos) in T1, next to the Luggage lockers, +34 93 259 64 40. Open daily 7am-11pm. If you think you left something at the airport after you've returned home, email them: objetosperdidosbcn@aena.es. Shops: Duty free and many, many more in both T1 and T2. Most are beyond the check-in. Tax Refund Bureau: in T1. For non EU residents who purchase goods from participating Tax-Free members; first go to the customs office in the check in hall (level 3), then go to the Caixa Bureau de Change (see above). To get into the city centre you have several options. The City Bus 46, N17, and RENFE trains are your cheapest options, by way of a T10 ticket. City Bus 46: from T1 and T2 to the Plaça d'Espanya. A1 Aerobús: Express (approximately 35 minutes) from T1 to Plaça de Catalunya. RENFE Cercanías Train from T2B to Barcelona Sants train station and Passeig de Gràcia. Trains run from 5.53am-11.38pm. Taxis: There is a minimum of a €20 fare for all airport runs. This includes the airport surcharge plus an small surcharge for each bag. Average fares are €28 from T2 and €33 from T1.